Weight loss update – down 19 pounds, discovered a belt hole I hadn’t paid much attention to and I guess the bonus is - I am also down one bra size. Today, I rediscovered something I thought the male readers might appreciate. I am pretty sure the female readers have already figured this one out. But, if the female readers would like to tag along, just because, that would be fine with me. This morning I was getting ready for work and I noticed the collar of my shirt on the right side was curling under and my shirt pocket was a bit wrinkled. Right there at my finger tips was my wife’s hair straightener. I suppose you have already figured out where this is going but for the slow ones in the room let me continue. I plugged the hair straightener in and while waiting for it to heat up I shaved. By the time I had finished shaving my wife’s excellent appliance was ready. Now the sheer beauty of this procedure is that you don’t even have to remove your shirt for this to work. I slipped the curling iron into my pocket , closed the hair straightener and presto bazooka my pocket looked freshly ironed. Next came the collar - nothing to it really - I give it five stars. I would like to see you try this with a conventional iron and not take your shirt off. Actually, if I did see you try this it would not really impress me much because I have mastered this procedure already and used it upon more than one occasion. Caution is the key, so be careful when attempting this slightly risky behavior, a mishap could make life very bad. Before starting un-tuck your shirt, slide your bedside copy of Mother Earth News under your shirt and iron away. It works really….I was going to say it works really well, but that would just be a lie. It doesn’t hardly work at all. I think it could work pretty good if a person had three hands but God only gave us two so maybe this activity is not meant to be used except in emergency situations. It seems the minute I wanted to apply the iron the book would slip out. I almost ironed my chest hair. Hmmm...maybe I have a new use for the hair straightener - any one have curly chest hair? Well that’s all I got. I will be away from my computer for the next week or so, ripping lips, so wish me luck. Upon my return to computer world, I promise to have at least one fish tale. 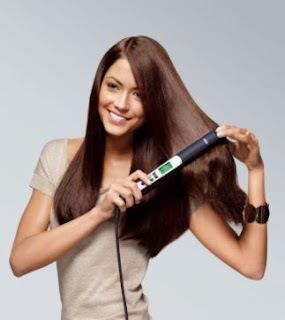 And thanks for the tip about the "hair straightner/shirt iron". I might use it sometime. Have a good fishing trip GQ! Congratulations on the weight loss!! And you do have a creative approach to wrinkle problems -- however I'm not so concerned about the ones in my shirt and somehow I don't think this would be the answer to the wrinkles I would like to press out! Ah, well! Hope you have a great fishing trip!! Enjoy! Down one bra size? Since when did you started wearing them. Congrats on the weight loss...and I use my flat iron to take the wrinkles out of the hem on the top sheet...you know where you fold it back....oh and good luck on your fishing trip too--post some pictures. Great tip GQ. But unfortunately I have a hair curler. Maybe I should use that for a fashionable -bohemian look!!! Congrats for the weight loss. Wish I could lose at least 10 pounds. Super post :D and such a gr8 idea..! I only have a curling iron, but I'll pass this tip along to my friends who have one of those hair straighteners...the ones who wish they had straight hair. The rest of us wish we had curly hair. Congrats on the weight loss...a subject I'm very familiar with, having done it time after time after time. You'd think I'd just blow away in a gentle breeze by now, but I stand firmly planted on the ground, those lost pounds having found me once again. Nasty little pests. Hope you enjoyed a successful fishing trip, one that provides lots of stories! u tempt me to iron with my shirt on! Great job on the weight loss! Have fun fishing! Sorry I missed this when my computer was sick. Very funny and amazingly smart. I love those who look at a situation and say "why not----"
Congrats big time on the weight loss. Debra: I had a great time fishing – Thanks of the nice wish and congrats. Hilary: From your picture I guess you don’t need a hair straightener but think of Frank – It’s not all about you. Maybe the name should be changed from Hair Straightener to ‘Iron Man’. Sylvia: I am back from fishing. I have been thinking about your wrinkle problem. Now granted, I do have to make an assumption as to what wrinkle problem is concerning you, so I have implemented my common sense gene. Therefore using all my creative juices here is my fix – just like a man to fix – Okay do you have your note pad at the ready? This is going to be good. You will want to save it. You might even want to pass it down to your grandchildren. You can even think about having a tea or an open house, invite all your friends both male and female for this provocative solution – It is that good! Are you full of anticipation and getting excited? I know the suspense is getting to me , I can hardly wait. Okay here is it….. I wish my creativity had produced even one small solution but I got nothing – I am so embarrassed and so disappointed. The Survivor: Now who ever said I started wearing them – you sure make interesting assumptions. I can see we both attack problems from the same place. How did that ironing with your shirt on go? Amrita: If you do, please post pictures! Anita: I am so happy I was helpful. The woman commenting thing, hmmm…maybe the men were too busy plugging in the straightner. Dianne: Thanks, I will and did. I hope you are doing okay. Pat: Your comment reminded me of how we are never happy. The coffee is never just right – it is either to hot or to cold. Standing firm is a great way to state the problem. Lynda: Iron is a metal used for making great camping pans. I had a great trip but wish I had a good set of cast iron skillets. Arkansas Patti: Thank you! no one ever calls me smart:( And looking at things as ‘why not’, and I thought it was just laziness.